Portrait of Odit Washington. As a young man he was given to James Imbrie, and he died on the Yakima Indian Reservation. [Front] [stamped] T. J. Ticknet's Co., Yakima, Washington. 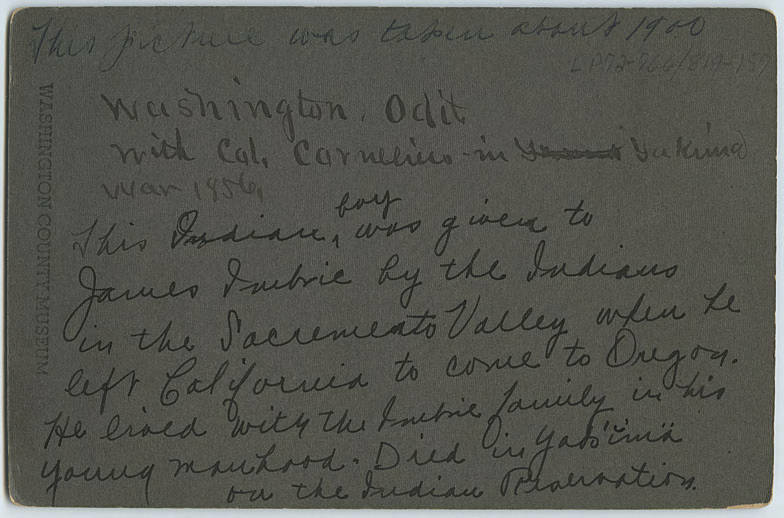 [Back] [ink] Washington, Odit. With Col. Cornelius in Yakima War, 1856. [pen] This picture was taken about 1900. 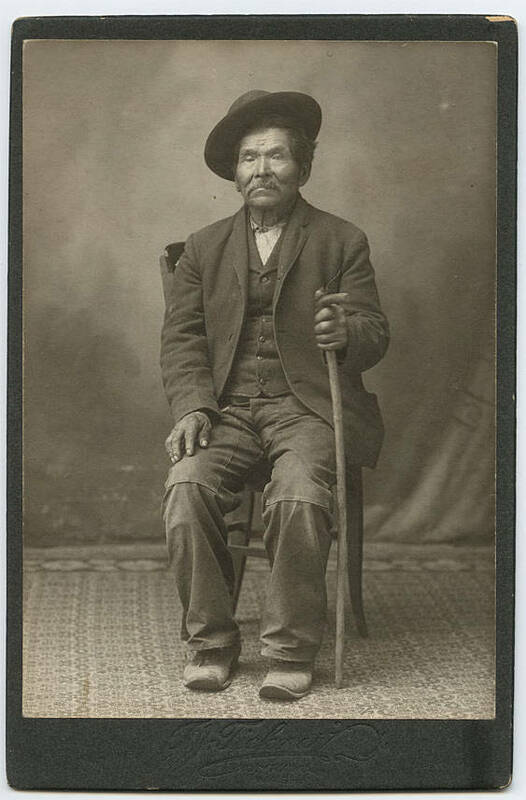 This Indian boy was given to James Imbrie by the Indians in the Sacramento Valley when he left California to come to Oregon. He lived with the Imbrie family in his young manhood. Died in Yak'?m [sic] on the Indian Reservation.